Marvin (Marv) House has more than 40 years of construction experience. He began his construction career in 1973 and holds a Bachelor of Science degree in construction supervision from Purdue University, as well as a Masters Degree in business administration from Goddard College. Marv is a licensed professional engineer in 14 states, a LEED Accredited Professional and holds a contractor’s license in six states. He has a broad range of construction expertise, having worked with an ENR top 400 construction company. He is Chairman of Merit Construction, Inc., and CEO and Founder of Professional Construction Consulting, Inc.
Marv has served on several boards and currently is serving on Knoxville Habitat for Humanity and the East Tennessee Historical Society. 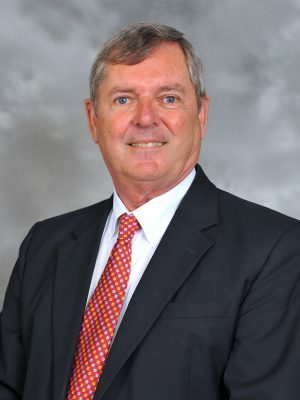 He is also a member of the National Association of General Contractors Risk Management Surety Bonding Committee and the AGC Consulting Contractors Council, a former trustee of the AGC Comp Trust of Tennessee, and the past chairman of the National AGC Surety Bond Committee. Marv is an avid outdoorsman who enjoys fishing, hiking and scuba diving. He resides in a renovated grist mill in Blaine, TN, and has two grown children and one grandchild.